It is easy to dismiss the sci-fi/fantasy world, and it is easy to belittle it; it’s often seen as childish, nerdy, and not strong enough to be taken seriously by the general public. This isn’t to say that there’s something wrong with a bit of nerdiness and childishness (the world probably needs some more of each), and this isn’t to say that the sci-fi and fantasy genre is the social outcast of the creative world; it is to say, however, that the fantastical realm is often not addressed as the agent of change it is. Although science fiction as we know it was birthed upon the publication of Frankenstein in 1818, which was written by a nineteen-year-old girl named Mary Shelley, patriarchal forces have taken ownership and claimed the genre as an all-boys club. Despite this attempt to kick women out, it has been, and continues to be a powerful wielding force for girls and women, both as an empowering form of escapism and a way to address prevailing issues, covered by the inviting veil of fantasy. In science fiction worlds, it is possible for women to be unrestrained by the societal, cultural, economic, and political oppression that exists in real life. A science fiction world is able to be strong without the writers having to worry about maintaining accuracy to the female experience. Writers who set out to create female characters who do not have to worry about anything facing today’s limits create newfound strength and abilities that women in real life can aspire to. This also gives way to showing that women can be seen in a certain light, with certain abilities, and can, in turn, reflect itself in our real world. The result of strong female characters in science fiction is ultimately freeing, and a political statement in and of itself. Take the women of Star Wars, for example. Princess Leia’s male counterparts never question her leadership skills because she’s a woman, and no one ever told Rey that she was too emotional to be a Jedi. These women faced internal and external battles, yes - but they were with the Dark Side and the Light, Jabba the Hut, asteroid fields and planet-killing superweapons, not with misogyny. Both Princess Leia and Rey have become feminist icons. Although neither characters declare a feminist manifesto at any point, the very presence of female strength and leadership is seen as an inherently political act. 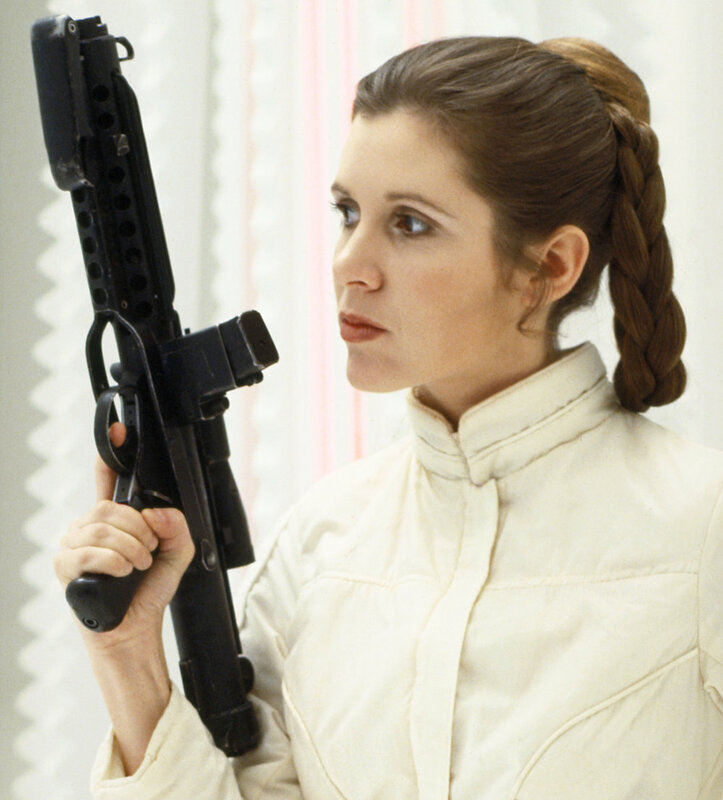 The latter, even, is often accused of being a part of a “liberal agenda.” Princess Leia came at the perfect time to a generation of young men (who were statistically the main first fans of Star Wars) and subconsciously helped create an image of a strong female in their minds. (That is not to say that Princess Leia wasn’t strongly objectified, but men have objectified everything from the beginning of time, so that’s a reality yet to be challenged). Another good example of empowering escapism is Black Panther. In Wakanda, black women are scientists, generals, queens, and spies without question of their ability from their male peers, sons, brothers, and husbands. Again, their existence has been proven to be revolutionary. And again, the film, which appeals to the younger demographic, will help create subconscious change in the way young viewers see women - specifically black women in this case - later on. Perhaps reaching an even wider demographic is the BBC’s Doctor Who, which recently broke barriers after Jodie Whittaker became the first woman to take on the title of “The Doctor”. This will show both the young and the old audience of the legendary show that women can do anything men can do, even if only men have been doing it for generations upon generations (or rather regenerations upon regenerations?). It also breaks the stigma that the only roles women take up in Doctor Who are the Doctor’s companions - there to distract him from his endless life and to be discarded when no longer useful. In Star Wars, Black Panther, and Doctor Who, a version of female bravado that is solely independent of any fights against oppression is inspiring, as it is an allowance for women to exist beyond the battles they face in response to their identity - a concept that is both infectious and encouraging, stretching the ideas of what is possible for girls and women. Young people are greatly encouraged by what they see in books, movies and on television screens because their first interaction with the world outside of their schools and homes and communities is through these mediums. And when young girls see themselves represented, and represented strongly and diversely through these mediums - especially through sci-fi, because the spectacle and enjoyability of it makes it easily accessible - it gives them a narrative and independence that is very different than what patriarchal society gives them, which empowers them to take ownership of their story and create effective change in the world. It’s an “if they can do it, why can’t I?” mentality. The other way that the science fiction and fantasy world can create social impact for women is through using fantastical realms and concepts as a way to portray important messages and themes. An obvious illustration of this is The Handmaid’s Tale - using the fantasy subgenre of dystopia, both Margaret Atwood’s book and the Hulu miniseries exhibit the terrifying consequences of women’s bodies becoming the property of the government. It may surprise and disturb some people that Atwood has stated, “There’s nothing in the book that hasn’t already happened.” She pulled from Biblical stories, Nazi Germany, polygamy, and many other historical and societal references to create the authoritarian world of Gilead. It may be an extreme culmination, but the tragedies in The Handmaid’s Tale aren’t pulled from speculation or imagination, but from real-life devastation. The book and the series also exhibit perfect historical timing. The novel was published in 1985, which was right in the middle of Ronald Reagan’s eight-year stint as President of the United States. Reagan appealed to the Christian Right, which openly fought against abortion and the Equal Rights Amendment; he longed to create a government “embodied in Judeo-Christian principles” - which, according to him, meant the banning of a woman’s right to choose and the ultimate reversal of progress made by second-wave feminists. Gilead, canonically post-American, undoubtedly pulled from Reagan’s rhetoric and policy. The Hulu series, first airing on April 26, 2017, also could not have come at a better time. Donald Trump’s platform of anti-abortion, Biblical manipulation, history of sexual assault, and constant attacks on women disturbingly mirror the practices and views of Gilead. The reemergence of this narrative in televised form has prompted women to wake up to the real dangers of institutional patriarchy, and even have caused some women to protest in the handmaid attire of white bonnets and blood-red gowns. Without the extremity that dystopian fiction permits - the ability to culminate many injustices into one terrifying world - I doubt that The Handmaid’s Tale, in both of its forms, would’ve made the cultural impact it has. And they did exactly that. Jenkins used the lure of the superhero spectacle to say that you cannot fight war with war, and that you cannot kill the bad guy and everything terrible in the world is gone. The core of the film is this: the fight against evil is a long, complex, and hard one, but it is worth fighting, and it’s a fight that’s won using love. Although this theme can be universally striking, it is particularly relevant to women and oppressed groups. 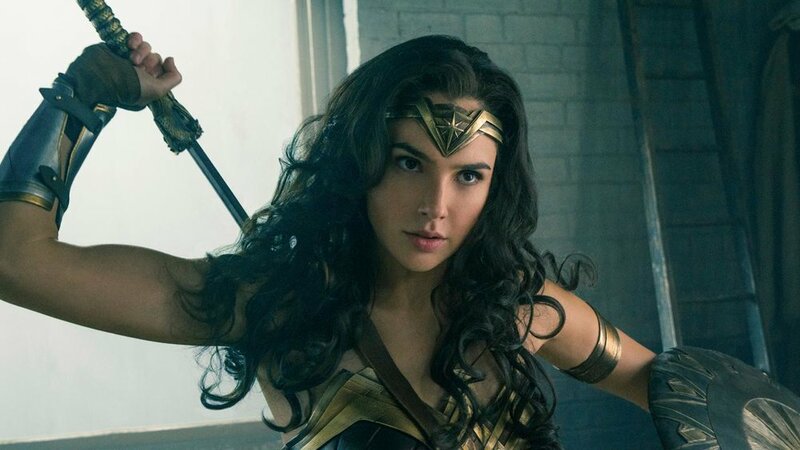 The film is also ingeniously set amidst the sexist landscape of the early twentieth century, which heightens the contrast of Diana’s all-female home of Themyscira and the rather misogynistic landscape of the rest of the world. It shows the ridiculousness of the widely-accepted sexism of the time by depicting the confusion of someone who has only known female empowerment her entire life. Chris Pine’s Steve Trevor, serving as Wonder Woman’s love interest, also takes on the role constantly reserved for women in male-headed superhero films; someone that only exists as a catalyst and ultimate sacrifice for the hero’s narrative. While drastically different when it comes to tone and story, Margaret Atwood’s The Handmaid’s Tale and Patty Jenkins’ Wonder Woman ultimately use the same device. Many other genres use storytelling to make a social impact, but the world of sci-fi and fantasy is a moving one because it hyper-dramatizes themes in a way that makes them entertaining and accessible; most people would rather watch a superhero movie than a lecture on the complexities of systematic oppression, and most people would rather explore the disturbing world of Gilead than read a Times article on reproductive justice - the commercial success of both stories have proven that. The genre still has a long way to go. Strong female characters are often dismissed by men as “Mary Sues”, there is still massive amounts of female hyper-sexualization, a lack of depth and voice in many woman characters, and a lack of representation for women of color, disabled women, and LGBTQ+ women in sci-fi and fantasy. In order to change this, I think a diverse array of women need to be granted agency as creators as well as characters, and a sense of ownership of a genre that wouldn't exist without us. The medium of sci-fi and fantasy, and who is represented within it, cannot be taken lightly because it is arguably the most powerful and widespread fictional genre. Virginia Woolf famously said, “A woman must have money and room of one’s own if she is to write fiction.” I believe that women need the science fiction and fantasy equivalent of “a room of one’s own” - perhaps a spaceship of one’s own - not only because women deserve it, but because it has proven to be a vital tool for ultimate revolution in the way people see women and the world around them. Through this genre, not only are we able to imagine ourselves as the heroes of our own stories, but we are also able to make a kind of cultural impact that is both unique and lasting.